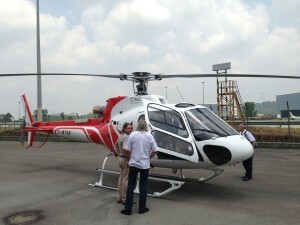 Komala Indonesia is Leasing Three Ecureuil AS350 B3e from Helipartner Thalaind. Helipartner Thailand’s order of 10 AS350 B3e highlights the effectiveness and capabilities of this Ecureuil family helicopter to meet the increasing demand for light helicopters in the ASEAN region. The acquisition of 10 Eurocopter enhanced high-performance AS350 B3e helicopters by Helipartner Thailand responds to increased demand for high-performance utility helicopters across ASEAN countries in support of aerial work operations and the management of natural resources.